A ready-to-use hot plate griddle cleaner for hot plates, griddles, cooking irons and food presses to remove carbon and burnt on food, greases and oils. 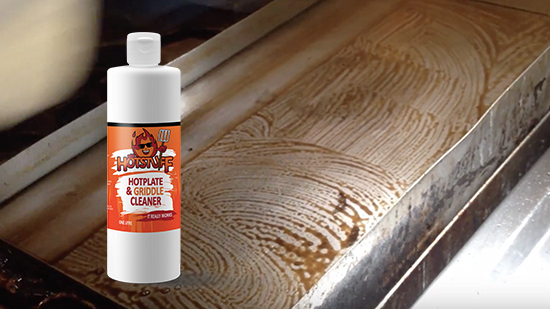 Because of it’s non-caustic and no-rinse features, HotStuff offers significant health and safety advantages over products traditionally used for cleaning steel and stainless griddles and hot plates. 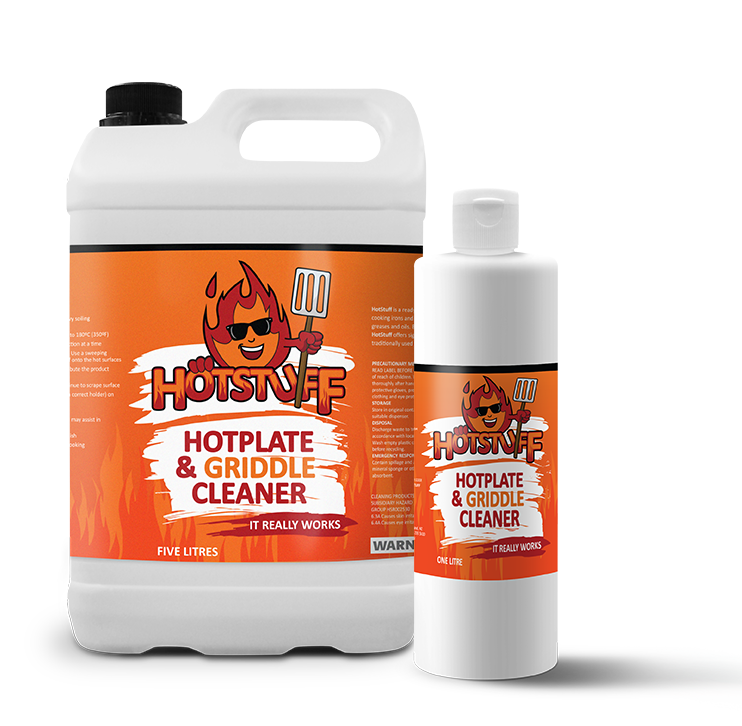 HotStuff is a CleanBrands product owned byChemical Solutions.